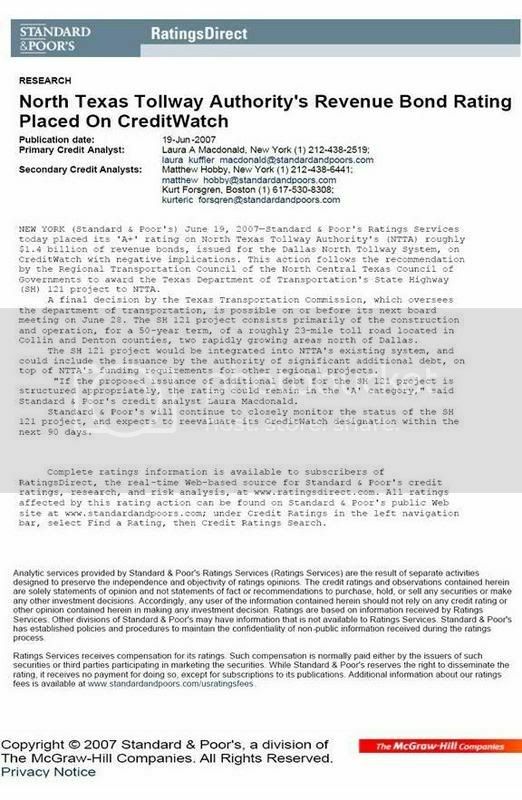 Texas’ first foreign-owned toll road financed through a controversial public private partnership just got downgraded to junk bond status by Moody’s Investors Service. The Spain-based firm, Cintra (65% ownership), and San Antonio-based Zachry (35% ownership), known asSH 130 Concession Company opened the southern leg of State Highway 130 last November. Concerned citizens with Texans Uniting for Reform and Freedom (TURF) immediately launched a boycott of SH 130. Since then, the anemically low traffic levels signaled trouble from the beginning and Moody’s downgraded the concession company’s rating in April warning of the risk of default. The downgrade this week warns of default unless the company can restructure its debt or attract a substantial increase in traffic. It’s unclear whether TxDOT would continue to operate the highway as a toll road or as a freeway. State Representative Paul Workman authored a bill in the Texas legislature earlier this year to tap state and federal funds to buy back the ailing tollway and make it a freeway. 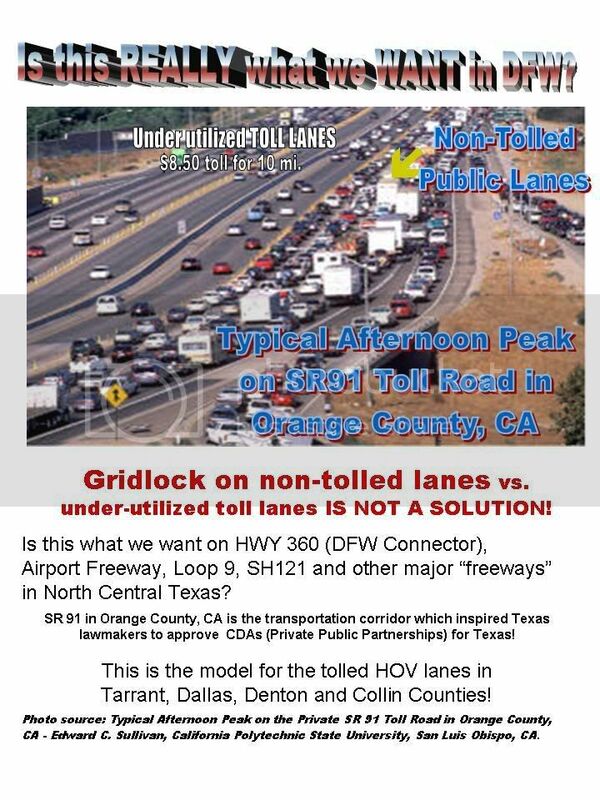 Many predict if SH 130 were a free highway that the road would finally attract significant levels of traffic from the heavily congested Interstate 35, which most travelers cannot afford to do now given the high cost of tolls in addition to the higher consumption of gas given the road’s extra distance and the road’s highest-in-the-nation 85 MPH speed limit. One of the drivers behind the push to build SH 130 was the anticipated influx of truck and trade traffic due to NAFTA. It was part of the Trans Texas Corridor TTC-35 project and the only segment of the corridor to ever be built. Texas Governor Rick Perry and state lawmakers pulled the plug on the politically unpopular project in 2009 when Texans went nuclear over the massive size (originally 1,200 feet wide - of three times the size of an normal interstate) and hence the giant land grab using eminent domain for private profits as well as the concept of foreign-ownership of its public highways. But the push to privatize Texas roadways and build the corridor piece-by-piece utilizingpublic private partnerships (known as P3s) with a smaller footprint still advances. NAFTA traffic isn’t going to abate anytime soon with the anticipated expansion of the Panama Canal expected to open next year. The Texas legislature approved a bill, SB 1730, earlier this year allowing 23 projects to be privatized using P3s -- a few part of the original Trans Texas Corridor plan.